Silverplated wound on a silk & steelcore. The construction ( silk wound steel core) provides a very soft feeling and reduces slightly finger noise. Ideal for Folk and Fingerstyle players. 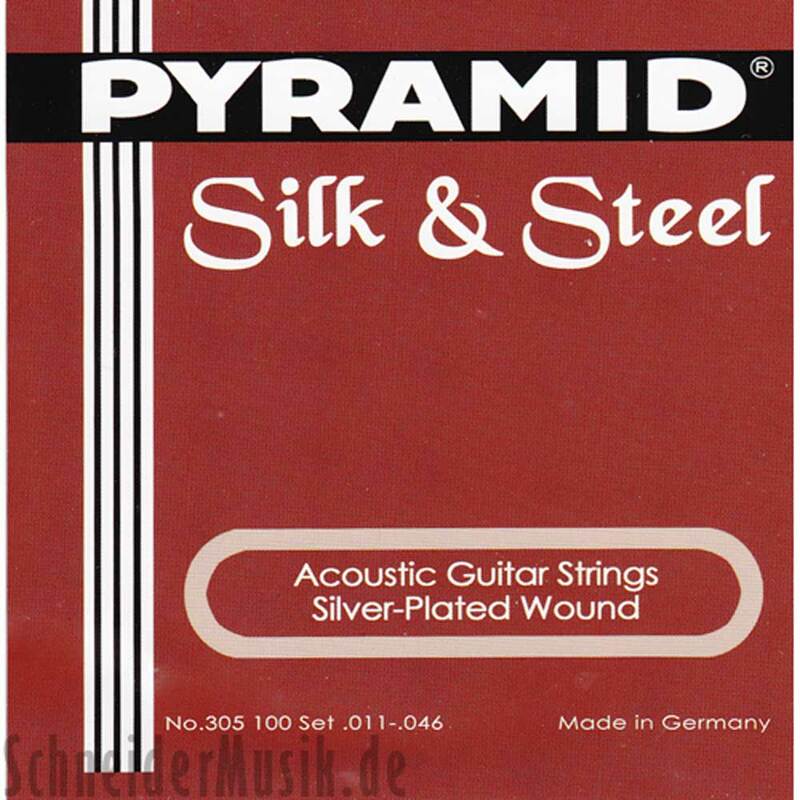 PYRAMID - strings of superior quality made of finest materials, with greatest precision and by expert hands, reliable and perfect and true.